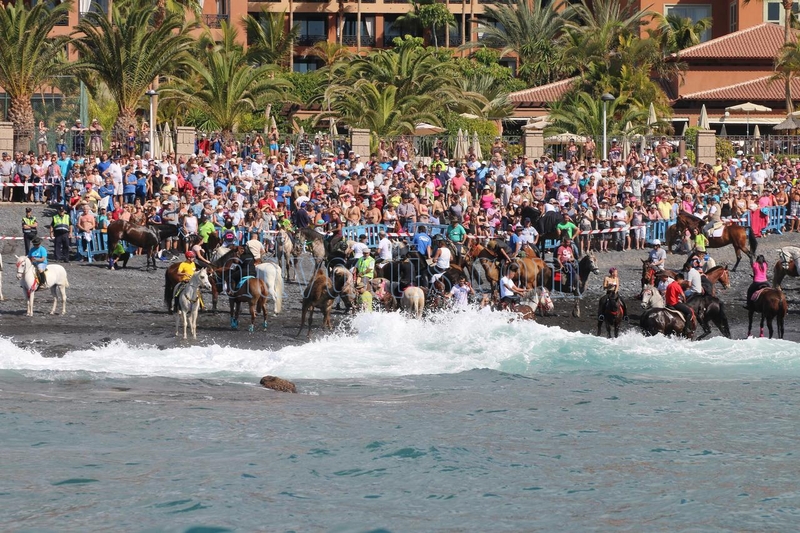 Adeje council is getting ready to celebrate one of its most popular fiestas, San Sebastián, which sees thousands of people from Adeje and the rest of the island congregating in the La Emramda beach zone in La Caleta. This is also one of the oldest fiestas, with celebrations dating back over five centuries. The year the main event takes place on Sunday January 20th, 2019. Those who wish to take part as riders with their mounts (horses, camels, donkeys, etc) must register in the Adeje Cultural Centre, between the hours of 8am and 3pm, weekdays, by January 18th and must have their animal’s registration papers, civic insurance and the relevant vaccination documents. The celebrations begin on Saturday January 19th, 2019 at 8pm with mass sung by the Boleros de Armeñime group, in honour of San Sebastián de Mártir. This is followed by a procession with the statue of San Sebastián, accompanied by the Adeje municipal band. At 10pm the San Sebastián folklore festival takes place with La Diata, the Asociación Cultural Imoque and the Adeje Folklore Group.